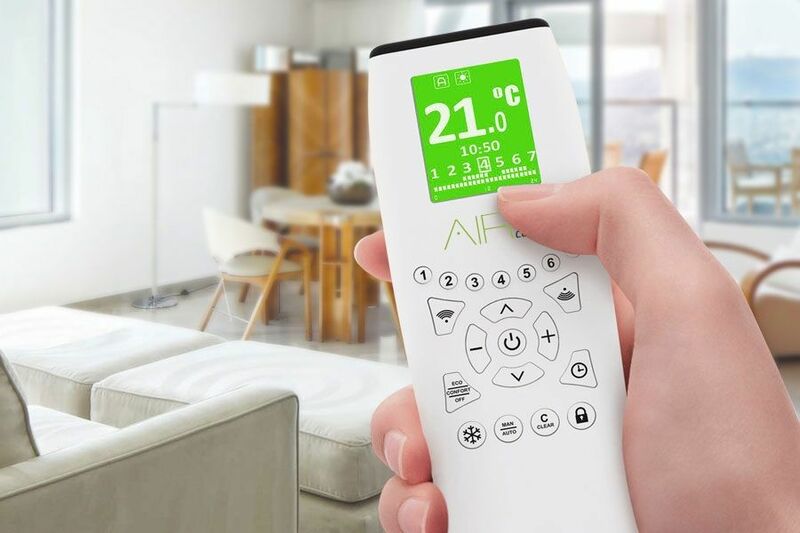 The entire range of Rointe products are programmable through our range of wireless infrared bidirectional remotes, allowing you to send and receive programmes between your installed range of radiators, towel rails and water boilers. Do I need a remote control for the Rointe Kyros? Purchasing a Rointe Kyros ACMI120 remote control simply makes sense. The Bi-directional wireless connection enables programming, that once sent to the product, can be received and copied into another product throughout the Rointe range. The Rointe Kyros ACMI120 remote is made of polycarbonate flame retardant of high resistance to impacts, with an elegant design of 21 mm in depth for comfortable operation. The remote comes with a transparent wall bracket - a functional accessory that allows the remote control to always be in the same place and avoiding dropping or losing it. Do Rointe electric radiators come with a remote? The Rointe ‘K series’ and ‘Kyros series’ do not come with remotes but they can be purchased alongside the electric radiators from the accessories tab on the left hand bar. The entire range of Rointe products are programmable through the Rointe remote range, which allow you to send and receive programmes between your installed radiators, towel rails and water boilers. Designed to allow you to create and configure your programmes within the M series/ Kyros series and Delta.